Last week I was at the ICDE conference in Toronto. Here I attended a meeting of the OERu, and gave papers on our OOFAT work, and reclaiming open history, as well as running a workshop for the GO-GN/Global Doctorate network. There was a common theme (beyond my bumbling) running through all of these, which was the nature of open, distance education. Prior to Irwin and I talking about the work on reclaiming open history (I’ll blog this later), Ross Paul talked about the history of Open Universities and their future. He stressed the influence that the UK OU, and open universities in general had in higher education in general, in changing the narrative around who higher education was for, and how it could be delivered. But single mode universities now face an uncertain future. Our own Vice Chancellor has been writing about the impact that fees have had on part-time students. The approach to fees arises from a mindset that still sees full time, 18-22 year olds on campus as the norm, with degree completion the sole aim. The retired 65 year old, studying one or two Spanish courses for interest (say), isn’t well served by a model designed with the former in mind. This, plus competition from other universities (in this open universities have been a victim of their own success), has created a challenging environment for the OU. This has led to much soul searching and significant reorganisation, which may be required but also creates an uncertain context for those working there. Many of my colleagues have left, or are looking for jobs. I confess, while I haven’t been actively looking for jobs, I’ve not NOT been looking either. But the combined effect of these discussions provided me with a mini-epiphany: The OU is my kind of institution, and I should stay and fight for its future (and open universities in general). You’ve got to believe in something, right? The reason I believe in the value of a single institution provider (rather than distance ed being covered by a range of HEIs) comes largely down to scale: a large scale, national provider gives many benefits you simply don’t get when part time is devolved to lots of smaller departments in other universities. Those providers will hardly ever prioritise part-time, distance ed over their main cohorts, it is always a nice extra. A single, large scale institution provides some counter-balance to the dominant narrative and perception of higher ed students mentioned above. Scale also makes some things possible that are unviable when diluted, or at least operate better at scale: some niche courses can only operate at a national scale; expertise in distance and online ed can be focused (and, no, MOOC providers haven’t replaced this, they just have a range of more or less unicorn business models); student community and body; national employment initiatives (eg apprenticeships) support services; a national presence in international forums. Macro: Reclaim and refresh the broad Open narrative – I write a lot about open education in general, and how the OU sits in relation to this. As I’ve often bemoaned, there is sometimes a sense that open ed was created in the US with the invention of OER (or MOOCs). The work I’m doing with Irwin, Katy and Viv Rolfe on reclaiming the open history explicitly attempts to locate the different elements of open ed in a broader context. We are creating a starter pack on literature and through projects such as GO-GN I intend to not just raise awareness of open universities in this context but attempt to bring together the sometimes disparate research/practitioner fields. If I can be immodest, I think I’m well placed to do this sitting in the intersection of a lot of these communities, and there’s benefit on all sides to doing so. It might also help new OU staff also to understand where their institution sits. Meso: Continue redefining what constitutes an Open University – the OU defined a model of what ‘open education’ meant. Over the years this has been tweaked and new elements have been added and emphasised. 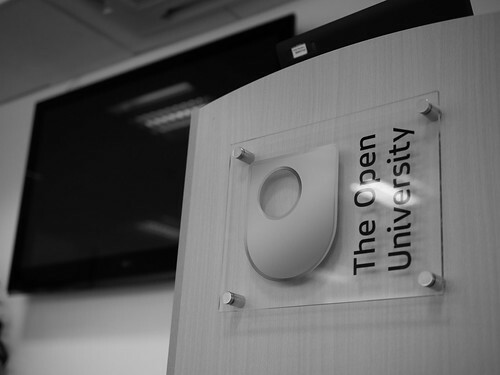 Open source software, OER, MOOCs – the OU has managed to stay abreast of these and adapt what it means to be an Open University accordingly. The next challenge to incorporate is open educational practice – how do we operate more openly, in terms of teaching, research, administration. I have a sense that whatever the OU tries to become, it won’t go far wrong if it has open values at the core. Without those it’s just a big provider and loses any sense of distinctiveness. Micro: Advocate for OER use internally to the OU – the OU has been very good at creating OER (through OpenLearn), but less inclined to use it. I feel there is an opportunity through projects such as Open Textbooks UK to raise the profile of OER use within the OU. This has some practical benefits – reduced production of bespoke material, courses that can be adapted more readily, but also helps better locate the OU in some of this field which aids its profile. Nano: Helping module design – using the hypothesis and evidence approach we developed on the OER Research Hub we are looking at examining hypotheses around OU course production and providing an evidence base that will help increase elements such as student retention. That’s all I’ve got for now, and some need fleshing out more. I reach 23 years OU service next year, and the past week has made me realise afresh how much I value it as an institution. Maybe in the future they won’t want old timers hanging around saying things like “I remember when we used to do two weeks summer school every year” but for as long as it’s possible, I’ll do my best to ensure the OU continues to provide a model for open education, and feel reinvigorated to do so. Of course, there’s a strong possibility that like a toddler ‘helping’ their parent with a task, the OU doesn’t want, or need my help, but there you have it. A lot of this resonates with me. Feels refreshing to see a commitment to institutions that work with and for the public, institutional evolvement instead of disruption (and admitting that there will only be imperfect approaches, institutions, and strategies). That might not be the work that gets you into Techcrunch, but it is far more valuable for those who follow it from near and far. Thanks! Interesting Martin (as ever!). I working on something related to this using the meso/macro/miso levels but not the nano one and the notion of how individuals, institutions, funding bodies move between the different levels. Look forward to hearing more about how much traction you get with this approach. Hi Martin – just saw this today. What a thoughtful post, proving once again that the act of writing is generative in so many ways. I used these generic analytical levels to analyse and describe how individuals negotiate openness. You’ve used the levels to explore your own agency within the OU. While there are constraints operating at each level, breaking them down and examining each level can be productive (and a hopeful act, I think). Also, breakthroughs (conceptually or practically) at any level can help to reframe the problem as a whole. Excuse the rambling, but you’ve made me think about this again – always good 🙂 . On the pratical side, I’m really interested in learning more about the ‘macro’ project with Viv, Katy & Irwin. Sounds very interesting & will be useful for many. Thanks for an insightful read. Nice seeing you at ICDE! Thanks for this post, which resonates with me in many ways–the focus on looking at the history of the open movement and open universities, as well as the focus on use in addition to creation of OER, to name just a couple. I read a few of the works on open ed in the 1960s and 70s and blogged a bit with some reflections recently, and then Irwin told me of the project you, he, Katy and Viv are doing. I can’t wait to see what you all come up with, and I’m so glad you’re doing this work!